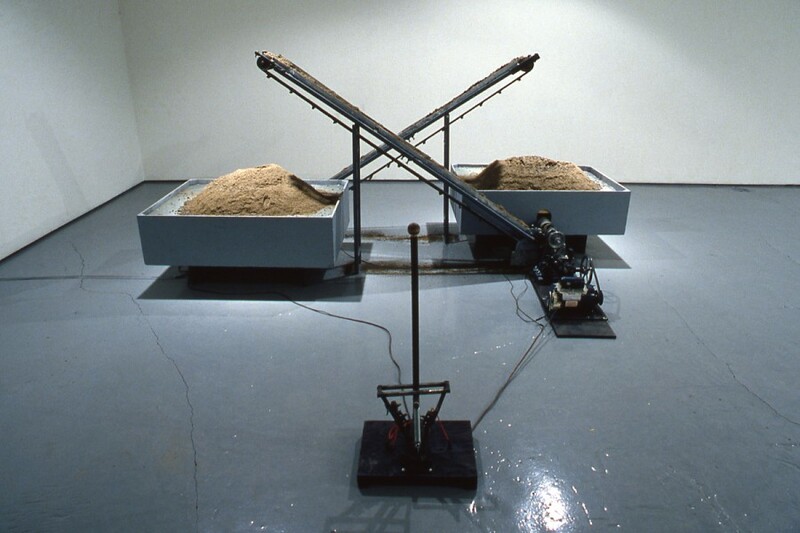 Opening Thursday April 13 at 8:OO pm, Mercer Union presents recent kinetic sculptures by Montreal artist Doug Buis. 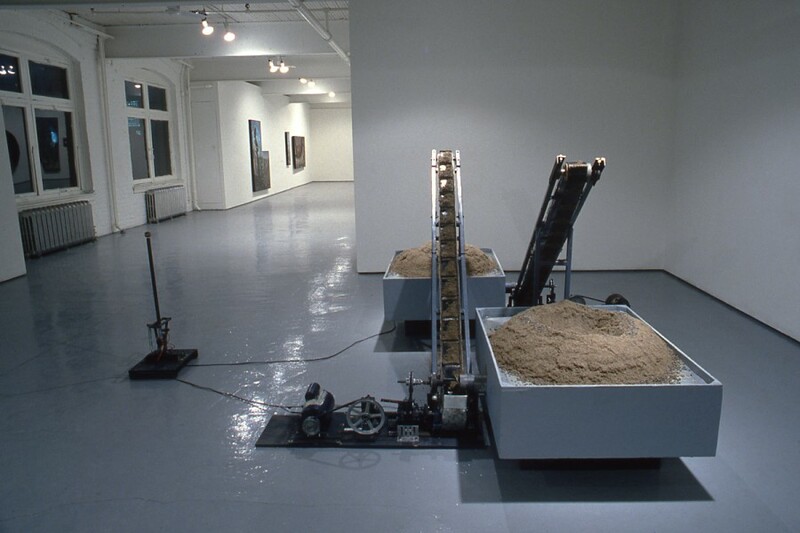 Using machines and electronic components with natural and symbolic elements, Buis creates sculptures which examine our relationship with technology. For this exhibition at Mercer Union, two pieces will be included. 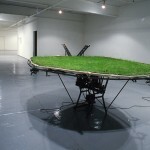 One incorporates materials such as grass, soil, canvas, steel, an electric motor and mechanical parts. 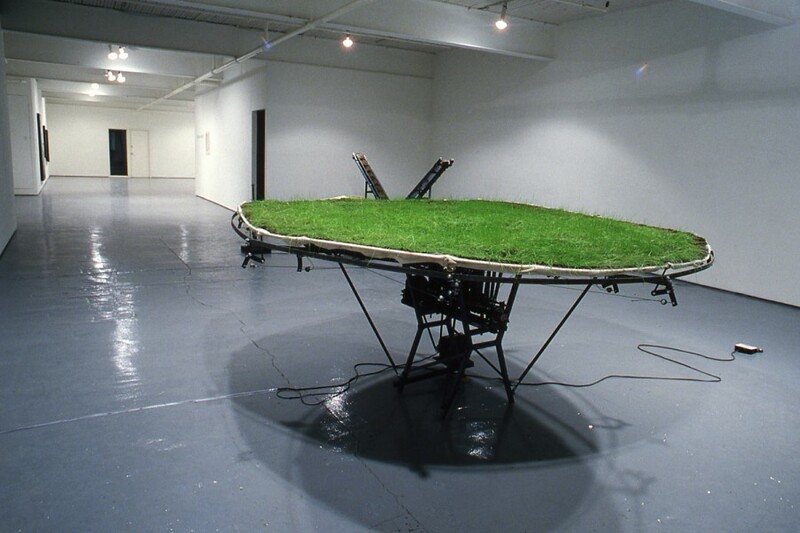 By pushing and pulling a series of levers, the viewer causes a ripple or wave like effect in the grass to take place. 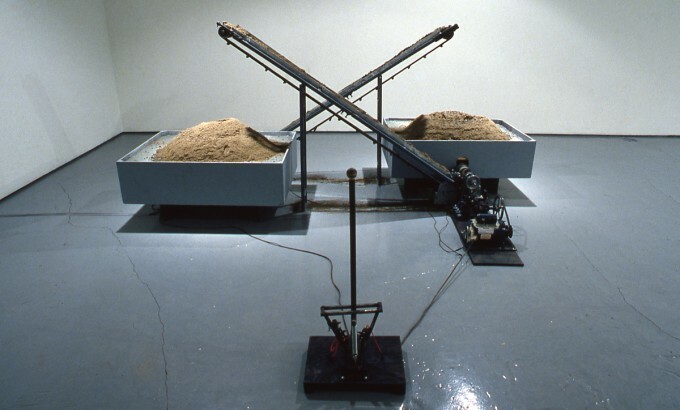 In the second piece, Buis employs motors and mechanical parts to create two machines which alternatively build and destroy sand piles. 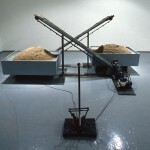 Buis’ approach involves the moving sway from a habitual use of machines to a more ritualistic one. Habits he defines as activities or devices which reduce our awareness of a certain state of affairs. Technology, as we use it, removes from our experience elements of our life/production cycle such as labour and waste, and focuses our attention on the end product. In contrast, ritual is an activity employed to enhance our awareness of certain aspects of life. 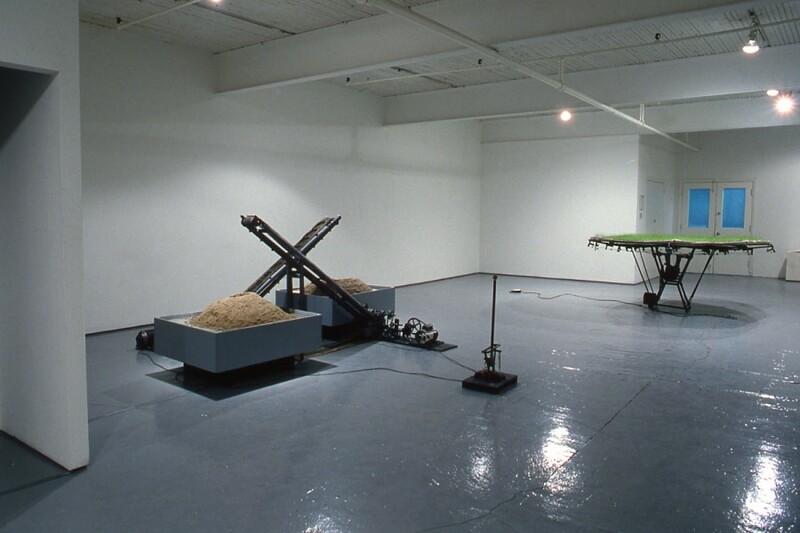 Using characteristics common to technology and ritual, he attempts to redirect our focus allowing the machines to become tools for apprehending the symbolic elements in his sculptures. 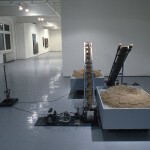 Buis received his MFA from York University in 1987. 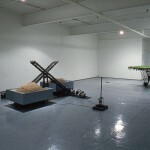 He has participated in solo and group exhibitions in Victoria, Toronto, Montreal, Calgary and Guanjuato, Mexico. His exhibition at Mercer Union, continuing through Saturday May 13, will present new work by the artist in his first major show in Toronto.